In 1993, Greg graduated with a B.A. in business management from Catawba College. After a stint as a professional soccer player for the Greensboro Dynamo, he started in the commercial real estate with a focus on office/medical/institutional landlord representation. 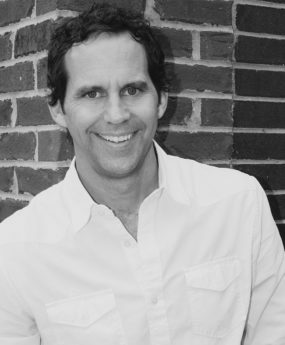 In 2003, he joined Crosland and was responsible for sales and leases of over two million square feet of retail space. After several years at Crosland, Greg joined The Carolina Group and was engaged in retail development and brokerage, including site selection, buyer/tenant representation, land assemblage, and single tenant build-to-suits. To date, Greg has completed more than 200 transactions involving many prominent landlords and retailers in the industry and has been responsible for leasing of over four million square feet throughout the Carolinas. In 2010, Greg teamed up with Michael Orlando and David Stewart and brought his leasing and development experience to Davidson. Greg is a member of the Charlotte Regional Commercial Board of Realtors (CRCBR), and holds real estate licenses in both North and South Carolina. He is a candidate for the Certified Commercial Investment Member (CCIM) designation from the Commercial Investment Real Estate Institute and a member of the Charlotte Chamber and the International Council of Shopping Centers (ICSC). Greg and his wife, Rebecca, live in Davidson with their two children.